Primary objective of our nurseries is the maintenance of the reliability and trust relationship that we grant to our clients with the excellent service, the continuous technical support and the acclaimed quality of plants. 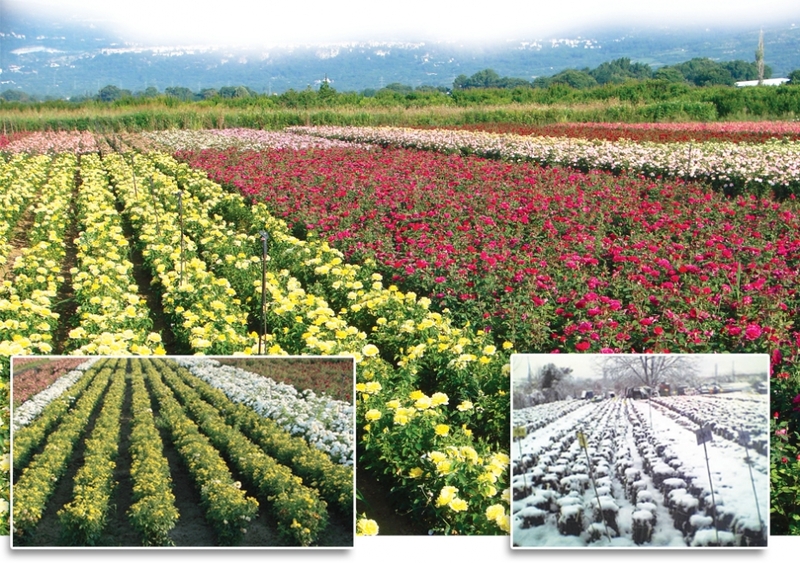 Konstantinedes nurseries are an enterprise launched in 1991 by George Konstantinedes at Rizari, Edessa and its core business is the production and trading of roses. The planting of the roses takes place on outdoor crops, using modern production methods and fully trained staff. The wide range of certified varieties in combination with the knowledge and unremitting improvement of the quality have rendered Konstantinedes nurseries one of the now biggest rose breeding units in Greece. In recent years, the company has chosen to collaborate with the rose breeding house Roses Tantau, thus responsibly contributing in the safeguard, maintenance and continuous development of parent varieties. © Nurseries Konstantinidis | All rights reserved.